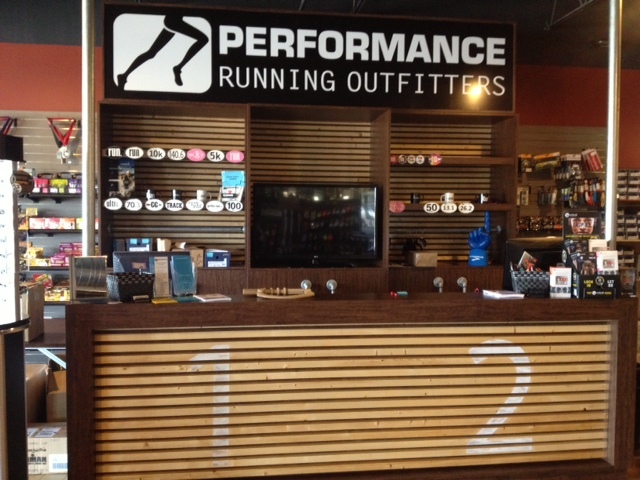 Performance Running Outfitters in Brookfield has a whole new set of digs. The store’s new 7,000 square foot store is more than triple in size compared with the old space and is a true runner’s heaven: the latest shoes, apparel, gear, nutrition and more, plus a new indoor track and community room. The store is owned by Trae and Jessica Hoepner and opened in 2006. The couple also owns locations in Shorewood and Oconomowoc. 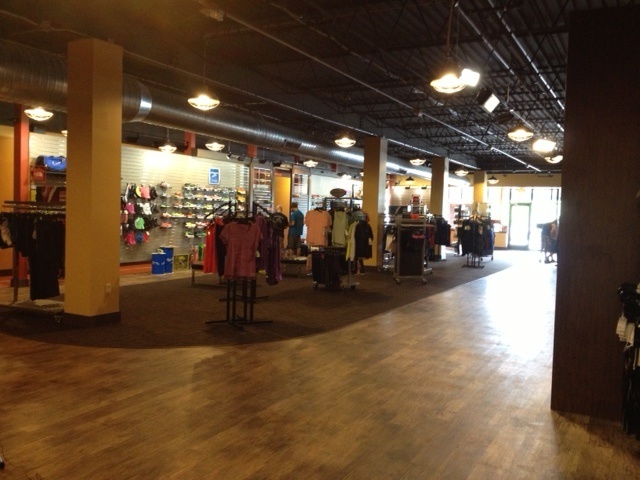 Co-Owner Jessica Hoepner recently gave us the scoop on what MKE runners will find in the newly expanded Brookfield store space. Tell us a bit why did you guys decided to make the move? We knew we needed more space the past couple of years, but the timing wasn’t right. After getting feedback from customers about how uncomfortable the Brookfield store was getting with our product selections growing and getting busier, it made our decision easier. We believe in investing in and creating a healthier community; a place for athletes to get advice and motivation, create more jobs for runners, and a nice environment for our employees (we added a kitchen, shower and additional office space). Can you tell us a bit about the new indoor track space? We put in a 100 foot track so that athletes can test out their track and cross country spikes and to allow our customers to test out their shoes if they don’t typically like running or walking on the treadmill. Will you offer more inventory with the expanded space? Yes, we will expand our selections in all categories (shoes, apparel, accessories and nutrition). There will be more color choices, more sizes and new items. We were also able to do this with our Shorewood location (4533 N. Oakland Avenue) when we expanded. What are some of the other things you’ll be able to do with the new space? We built a community classroom. This allows us to handle bigger race packet pickups, hold meetings and classes, host speakers, team events and more. If anyone in the community wants to use it as a meeting place for their team or club, we can schedule that, too! It seems like PRO is undergoing a lot of expansion this year. Any plans to add another location anytime soon? We are here to serve and help build a healthier community, so nothing is ever out of the question. Mark your calendar: Join PRO-Brookfield for a special grand opening event on Saturday, November 9. More details about this event to come, so follow PRO and Keep Running MKE on Facebook to get all the info first. Can You Ever Have Too Many Running Shoes? You know you’re a runner . . . when you’re way more excited about the new fall running shoes than the new fall fashions. So today’s poll is focused on running shoes – specifically, how many are in your current rotation? Whether it’s one, three, or – gulp – a dozen pairs, share what’s in your closet! And don’t forget – you can shop a great variety of running shoes at Performance Running Outfitters – our favorite local spot for the best gear!